In the previous CSR Minute, I described C.E.O. Action, a collaboration by 150 corporations to promote open discussion in the workplace on the issues of ethnicity and gender. In this week’s Minute, I’ll outline a few individual efforts. Dow has launched Project Search, a program to increase representation of persons with disabilities in the workforce. Mastercard has formed Business Resource Groups, self-governing employee associations to leverage the diverse experience and skills of its workers to inform the company’s business strategy. Mastercard has also launched Give Me 5! to address gender inequality and has installed customized training to uncover unconscious bias. Merck and MSD have also introduced Unconscious Bias Education to its senior leaders. 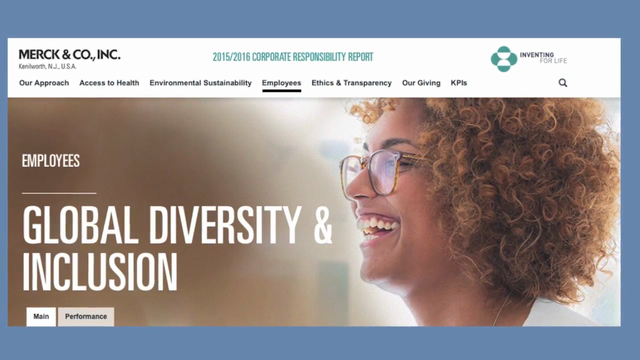 These companies and many more—including JLL, Kellogg, Mondelez, Visa, Wyndham Worldwide, PwC, Staples, Viacom, and Morgan Stanley—are showing that business can take effective action to address the urgent issues of diversity and inclusion in a transparent way. I’m John Howell for 3BL Media.